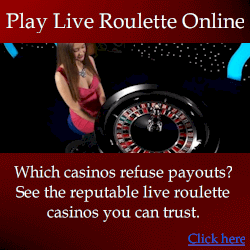 Here you can request a free analysis that tells you how profitable our roulette strategy is on any wheel. This gives you an idea of whether or not your local casino’s wheels are likely to be profitable. Step 1: First submit the below form with data from your casino’s wheels. Step 2: I enter your data into the JAA software, and it runs a simulation to give a “wheel rating” that tells us how profitable the wheel is. The rating is explained below. 59% or less (Unacceptable): Wheel not profitable or edge too slight to be worthwhile (70% of wheels have this rating). 60 – 65% (Barely Acceptable): You will likely profit, but not much and you can find more worthwhile wheels (10% of wheels have this rating). 71 – 75% (Good): You can expect profits to be steady and reliable (5% of wheels have this rating). 76 – 80% (Very Good): You are likely to have a strong edge and achieve high profits (5% of wheels have this rating). This tells us how sure the software is about the wheel rating. Q. How do I know you aren’t just giving a false high rating? If you later have full access to the software, you can do the test yourself and will see its the same rating. Q. How accurate is the rating? The first part of the rating tells you how strong patterns are (how profitable the wheel is), and the second part tells you how reliable the rating will be. So you will have a “wheel rating” and “rating reliability”. Basically as long as both are either orange or green, and neither are red, then you can safely play on the wheel. Q. What proportion of wheels can be beaten in modern casinos? Approximately 70% of wheels in modern casinos can be beaten one way or another. 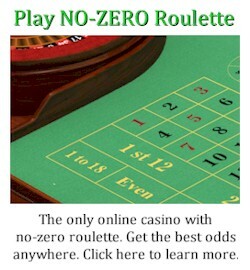 The roulettephysics.com system beats 30-35% of modern wheels in casino conditions. Q. How many spins should I submit? You should have between 150 – 300 spins per direction. So if your wheel spins both directions, you will have 150-300 spins for clockwise, and 150-300 spins for anti-clockwise. You must submit the form once for each direction. Q. Do I need to collect so many spins every time I play? NO. You only collect this many spins ONCE per wheel. 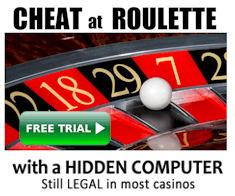 You can then resume play on each day after 10-20 verification spins to ensure the wheel hasn’t changed. NOTE: The full JAA software requires specific information about each spin. Exactly what data it needs for a full analysis is only explained to actual players. The data you need for this test is significantly more simplistic, but the downside is we are simulating a less effective version of the system. For example, a 60% rating with this simplistic version may be a 80% rating with the full system. Nevertheless, testing this simplistic system is usually more than sufficient to demonstrate effectiveness. 1. Enter one spin per line. 2. Each spin will consist of two numbers separated by a comma. 3. You usually get much better results if you test ONE DIRECTION at a time. – We’re playing on a single 0 European wheel. So essentially all you’re doing is writing down where the ball came to rest on one spin, then separated by a comma, write down where the ball landed next. This is NOT to do with the point at which the croupier releases the ball – it is simply one winning number and the next. This is the wheel name you assign. It can be anything to help you identify it. ClockwiseAnti-clockwiseBoth directions combined (not recommended) This should be only one or the other. If you combine directions in one submission, you significantly reduce accuracy. Enter one spin per line in the format explained above. If you submit the spins in an incorrect format, the analysis can\'t be done.